To provide a compact camera lens having a maximum imaging quality of a camera having a full frame sensor. The patent contains an MTF chart, indicating very high performance with nearly 0.8 @ 40 lp/mm throughout much of the frame except in the extreme corners. So this lens should indeed have “maximum imaging quality” and won’t have a “mid-zone dip” that plagues the Zeiss Loxia Biogon 35mm f/2 (which only scores 0.6 @ 40 lp/mm in the center, down to < 0.4 at the midzone and corners). The tangential and sagittal MTF curves are also very close, indicating low coma/astigmatism/lateral chromatic aberration. 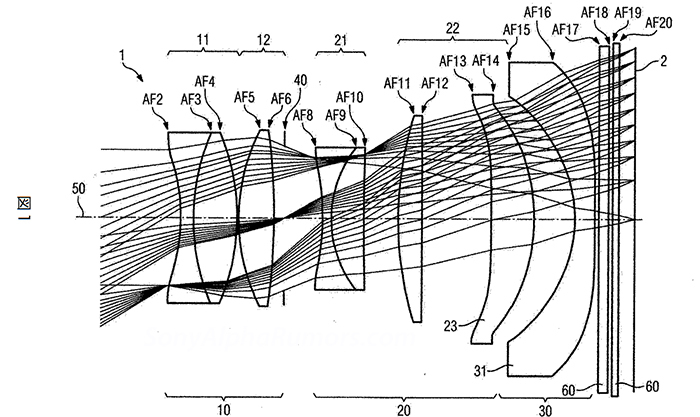 The lens has 9 elements in 7 groups, of which the last two elements are very large aspherical elements (4 aspherical surfaces total). The last element in particular has a pretty extreme shape, and also sits very close to the image sensor. It is probably difficult to manufacture and align. The lens is internal focusing, by moving two elements. As with always, patents do not necessarily indicate the final product. In fact, multiple variations of a similar design were in the patent. So, we cannot draw any final conclusions regarding this lens. 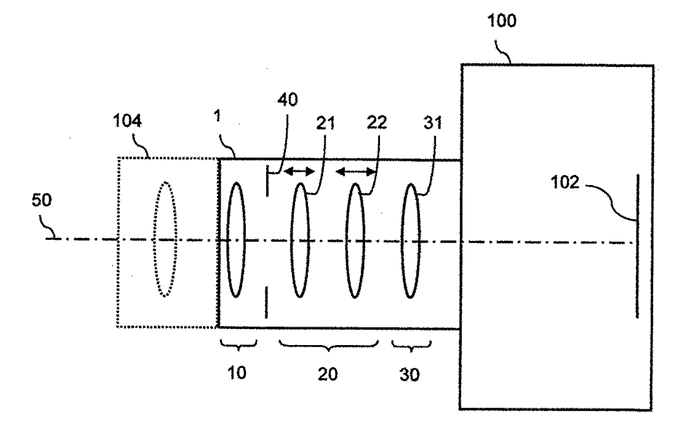 We do not even know if this lens is in fact the same one that is going to be in the upcoming Zeiss camera.